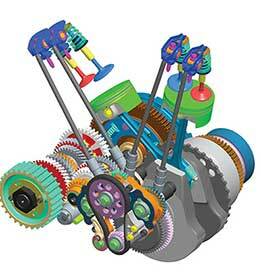 Published by Cyril Huze March 9th, 2013in Builders, Editorial, Engines and Events. A much larger crowd than usual on Daytona Main Street. 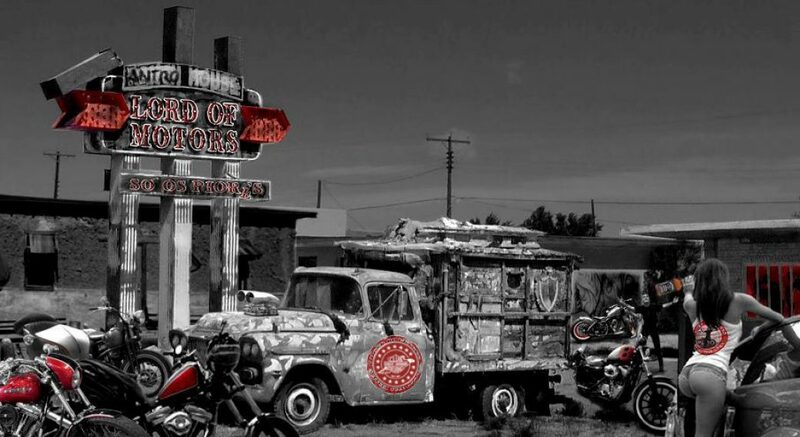 All bikers gathering in & around the Dirty Harry’s bar for the very exciting unveiling of the new Indian Motorcycle engine to power the upcoming line up. And I must say, for me, my fellow media members and the public present at this event a terrific surprise. I must say that the Indian team succeeds way beyond my expectations in honoring the past to power the future. 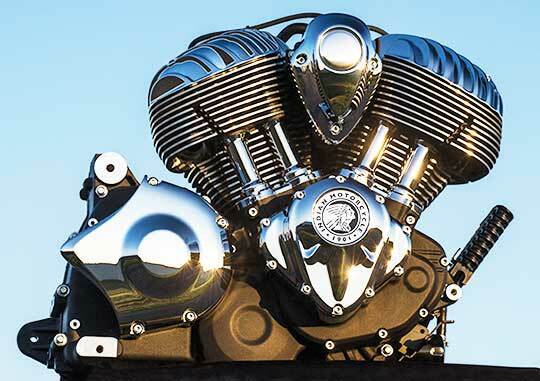 The all-new 111-Cubic Inch V-Twin Power Plant Unifies Iconic Past and Advanced Engineering and is another critical milestone in the company’s drive towards a full launch later this year. It is quite remarkable that this Thunder Stroke 111 is born less than 2 years (April 2011) after the acquisition of Indian Motorcycle by Polaris Industries. It demonstrates the unprecedented commitment of time, resources and passion that Polaris has put into the design this the all-new power plant. The goal was to capture the iconic design and styling aspects of the 112-year old brand’s most historic models and fuse that heritage with state-of-the-art technology and progressive design elements. The new design reflects an unparalleled investment into researching the complete history of Indian Motorcycle power train development, including the review of volumes of historical documentation, miles of riding vintage motorcycles, and studying and dissecting a broad array of legendary Indian Motorcycle models. 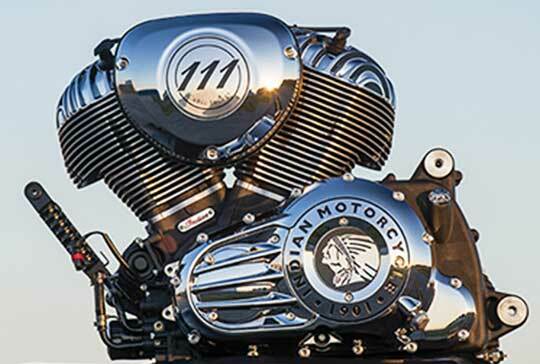 The Thunder Stroke 111 engine features 111 cubic inch displacement and delivers the raw power and iconic styling that have long been hallmarks of the legendary Indian Motorcycle brand. Delivering more than 115 ft-lbs of torque, the 49-degree V-Twin engine imarks the first clean-sheet Indian Motorcycle engine design in seven decades. With parallel pushrod tubes, finned heads, down firing exhausts, left side air intake, and the proportions and layout familiar to Indian Motorcycle fans around the world. The 1948 Indian Chief was an inspiration for designers. Industrial Design clay model turns drawings into 3-D. and Computer Aided Drafting and stress analysis was extensively used before production testing starts. 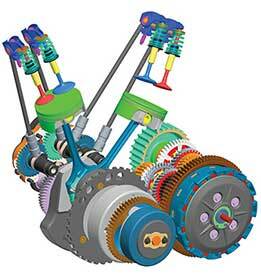 Engine displacement: 111 cubic inches Torque: More than 115 ft./lb. Architecture: 49-degree V-twin, air-cooled with integrated oil cooler, left-side air intake, down firing exhaust system, parallel pushrod tubes. Crankcase: Unit design featuring a high capacity semi-dry-sump oil system, oversized oil radiator Timing system: 3 camshafts, pushrods, 2 valves per cylinder acting through maintenance free hydraulic valve lifters, forged crankshaft Fuel system: Electronic sequential port fuel injection, electronic throttle control Compression ratio: 9.5 Transmission: 6-speed overdrive, constant mesh, helical gearbox Clutch: Low-effort, multi-plate wet clutch, aluminum basket, integral torsional damper.